Mr. Goenka began the first meditation centre in this tradition established outside of Burma, in 1975, at Igatpuri, a small village 100 km northeast of Bombay, in the State of Maharashtra. As the technique has flourished and spread throughout India and the rest of the world, there are now numerous Centres within India itself. While some of these Centres are in various states of development, many offer the same 10-Day courses in all languages, including the regional Indian language where the Centre is located. In India Centres are located at the locations set forth below. 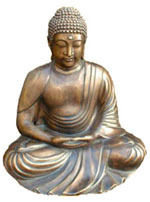 Vipassana, which means to see things as they really are, is one of India's most ancient techniques of meditation. It was rediscovered by Goutam Buddha more than 2500 years ago and was taught by him as a universal remedy for universal ills. The scientific laws that operate one's thoughts, feelings, judgments and sensations become clear. Through direct experience, the nature of how one grows or regresses, how one produces suffering or frees oneself from suffering is understood. Life becomes characterized by increased awareness, non-delusion, self-control and peace. Concentrative meditation focuses attention on a breath, an image, or a sound (mantra), in order to still the mind and allow greater awareness and clarity to emerge. The simplest form of concentrative meditation is to sit quietly and focus attention on the breath. Yoga and meditation practitioners believe that there is a direct correlation between one's breath one's state of the mind. For example, when a person is anxious, frightened, agitated or distracted, the breath will tend to be shallow, rapid and uneven. On the other hand, when the mind is calm focussed and composed the breath will tend to be slow, deep and regular. Mindful meditation, involves becoming aware of the continuously passing parade of sensations and feeling, images, thoughts, sounds, smells, and so forth without becoming involved in thinking about them. The person sits quietly and simply witnesses whatever goes through the mind, not reacting or becoming involved with thoughts, memories, worries or images. This helps to gain a more calm, clear and non-reactive state of mind. Studies show that after meditation, reactions are faster, creativity greater and comprehension broader. 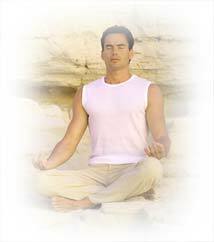 In addition, by silencing the mind, meditation can also put one in touch with the self, allowing the body's own inner wisdom to be heard. More and more doctors are prescribing meditation as a way to lower blood pressure, improve exercise performance in people with angina, help asthmatics breathe easier, relieve insomnia and generally ease the everyday stresses of life. Medication is a safe and simple way to balance a person's physical, emotional and mental states. The concept of meditation works on the principle that when the mind is calm and focussed on the present. Neither is it reacting to memories from the past nor being preoccupied with plans for the future: two major sources of chronic stress known to impact health. There are several techniques of meditation but they all have one thing in common -- focus on quietening the busy mind. The concept is not to remove stimulation but rather to direct concentration to one healing element: one sound, one word, one image, or one's breath. Indiahealthtour.com recommends the patient(s) to practice meditation in general life and even after procedure or surgery in the hospital / post hospital stay ( as per the doctors recommendation). Indiahealthtour.com shall arrange for a qualified yoga instructor to impart the training at the patient's request. This service is optional.